The ideal candidate should possess following qualifications & attributes: Should possess a B.Sc. 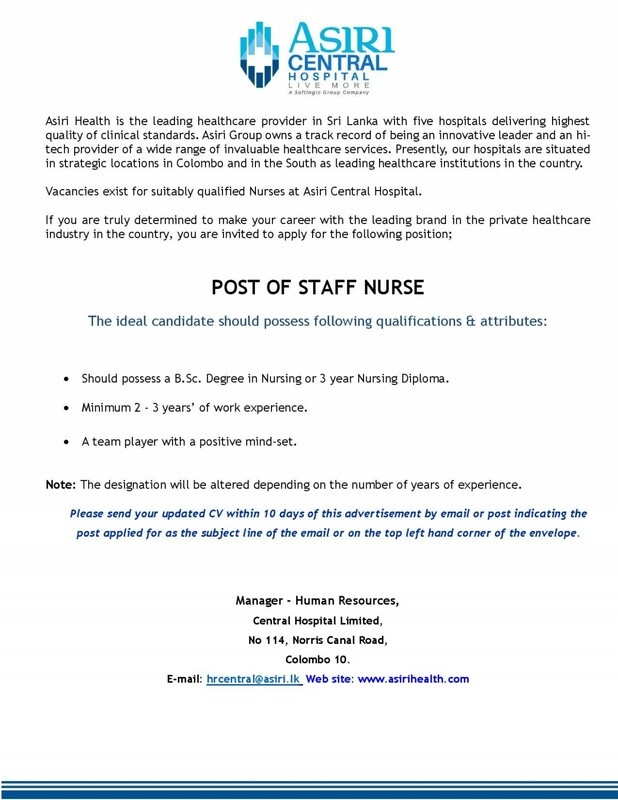 Degree in Nursing or 3 year Nursing Diploma. Minimum 2 - 3 years’ of work experience. A team player with a positive mind-set.